Do you like the reassuring feeling you get when you know you’re dealing with real people, who genuinely care about you and your best interests? We don’t quite agree with the image of a company as a corporate machine – that’s why we like to get to know you personally whenever you decide to rent, buy, let or sell property through us. So perhaps you would like to know a few things about the people behind our brand – everything from our likes, dislikes, quirks and hobbies. 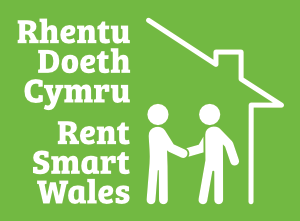 You can even see who has accreditation status with Landlord Accreditiation Wales (LAW). Paul is the main man at PB Property. He’s married with 2 children who are now young adults. He comes from a plumbing background and is now an experienced property developer. In his spare time he enjoys watching rugby and is a season ticket holder with the best team in Wales – the mighty Ospreys. A self-proclaimed car enthusiast, he has plans to build his own kit car when he retires. He also enjoys going on holiday and getting away from the renowned Welsh rainfall from time to time. Angela likes keeping fit by exercising 3 to 4 times a week and especially enjoys doing yoga. She likes reading various genres of literature and, like Paul, enjoys going on holiday - travelling around America in particular. Most of her spare time is taken up looking after her family and keeping her house in check. Gareth joined PB Property from Ashley Jones & Partners back in October 2008. He has been happily married since 2012 and has a daughter who was born in 2013. Gareth’s most notable qualification includes a BA (Hons) degree in Business Information Systems from UWE, Bristol. In his spare time, Gareth does various charity work and fundraising. He plays the trombone for the Salvation Army at Morriston, and plays competitively with Pontardulais Town Band. He enjoys sport, particularly football, being a big supporter of Swansea City. He also enjoys watching the Ospreys and the Welsh national team in rugby. He currently plays the frustrating game of golf and targets to get his current handicap of 27 down to 18 before the end of 2015. Rory McIlroy – watch out! Tayla is a very keen and committed dancer, having danced for the past 12 years. She competes in competitions that take place all over the UK, and does so around 7-8 times a year. She occasionally takes part and dances for charity fundraisers. As well as dancing, Tayla likes to keep fit by attending the gym 3-4 times a week. In her spare time, which is very limited due to her dancing commitments, Tayla enjoys spending time with her family and going on holiday. Sean's hobbies include mountain biking, graphic design and socialising with his friends. He holds keen interests in the economy, global politics and pretty much anything to do with technology. Currently, he is learning to drive and has just completed a level 2 Business Administration apprenticeship whilst working with us. Sean is now deciding whether or not to attend university to further his studies through a business or economics related degree.